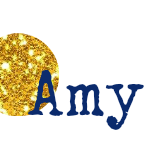 I’m back for this month’s Food n Flix! I’m always a little sad when I have to sit one out, because I love this club. However, I just couldn’t bring myself to watch To Kill a Mockingbird last month, not even for this. I get the movie’s (and book’s) value as a classic, but I just don’t like it! 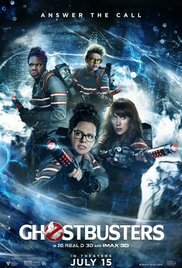 Anyhow, this month’s movie, hosted by Kimberly at Coffee and Casseroles, was the new Ghostbusters movie so I was super excited! When the movie first came out, I was a bit skeptical about an all female reboot, but I was pleasantly surprised and really enjoyed it (the cameos were the best!) and I love Melissa McCarthy! Thinking back to when I saw the movie in theaters, I didn’t recall any foodie inspirations, so I was excited to give it another go with my foodie goggles on! Initially I wanted to make some sort of slimy green beverage inspired by Slimer or ectoplasm. But then I realized that probably no one in my family would actually like it and it would go to waste. And I really don’t like making things that I know won’t be consumed. I just can’t do it. It’s not a huge change from the basic fried rice flavor profile, but I’ve been slowly tinkering with the recipe to get the most out of the flavors. It is now our go to rice on stir fry night and I’m super excited to share it for Food n Flix! Melt the butter in a large skillet or wok over medium heat. Add the onion, carrots, and celery and cook to crisp-tender. Add the garlic and rice and stir to mix. Increase temperature to medium-high. Cook, stirring occasionally until the rice begins to lightly fry. Season with salt and pepper. Make a well in the center of the rice. Pour the egg into the rice, stirring the egg into the rice as it cooks. Once the egg is fully cooked, remove from heat, and serve! 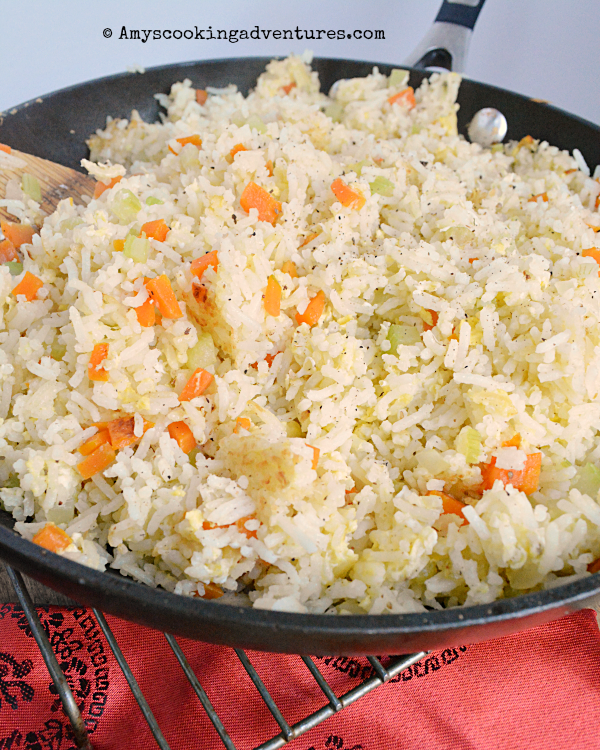 Fried Rice: A takeout favorite at home! Melt the butter in a large skillet or wok over medium heat. Add the onion, carrots, and celery and cook to crisp-tender. Add the garlic and rice and stir to mix. Increase temperature to medium-high. Cook, stirring occasionally until the rice begins to lightly fry. Season with salt and pepper.Make a well in the center of the rice. Pour the egg into the rice, stirring the egg into the rice as it cooks. Once the egg is fully cooked, remove from heat, and serve! Yes, thank goodness for the office above the Chinese restaurant or our choices would have been green slime,marshmallow fluff and burnt baloney. This looks delicious!!! 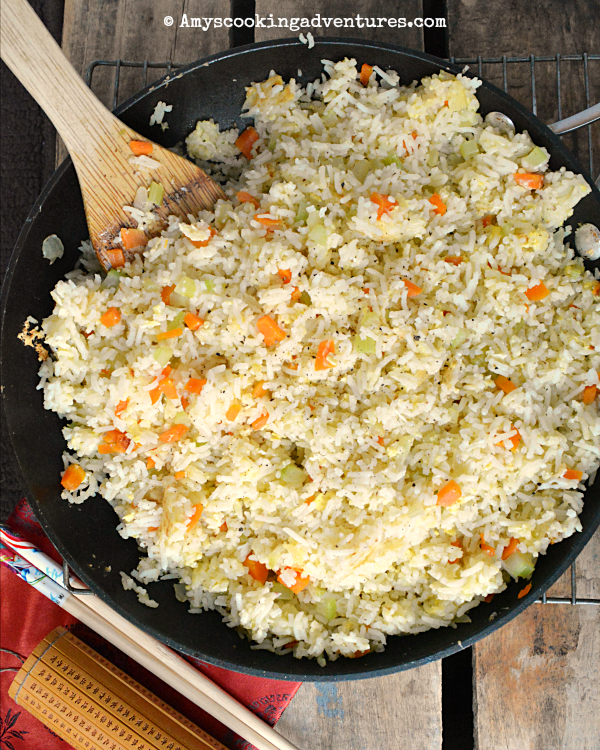 We eat fried rice at least once a week (for breakfast) to get rid of leftover rice. I like your recipe. I went with the greenish drink and made two kale juice cocktails. They were tasty. I really wanted to make a Slimer inspired drink, too. Great recipe. Glad you got it perfected. 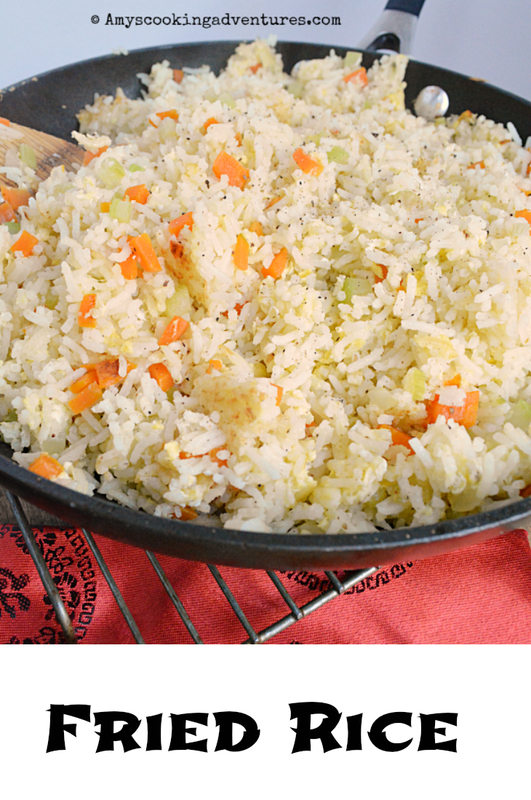 It is a great way to use leftover rice!